This is Jenny from Crazy About Cricut with another fun project to share with you. For today's project I used the ridiculously cute set, Just Pigcause. *I so totally love that there are SVG files to cut out the sentiments! I never have to find a die, or shape to fit my sentiment!! 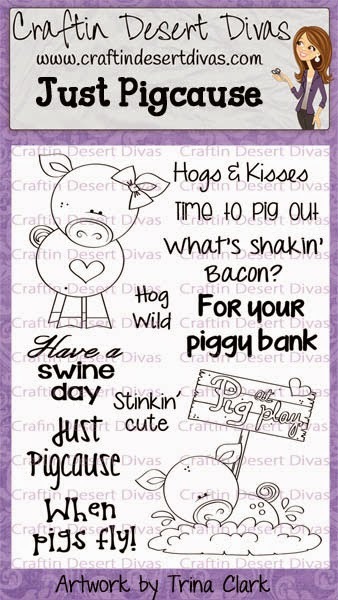 I used the Have a Swine Day sentiment from the Just Pigcause stamp set. Such a happy piggie. Love it! All of these piggy creations have been so FUN! This is super stinkin' cute!